Recently I was reminded I do indeed live in a glass house. I'm a PW, which I think is worse than a PK. When you are in the ministry, all your walls are glass. Every word you say is dissected. You are supposed to be in check with your emotions at all times... or people think you have really messed up the ministry. 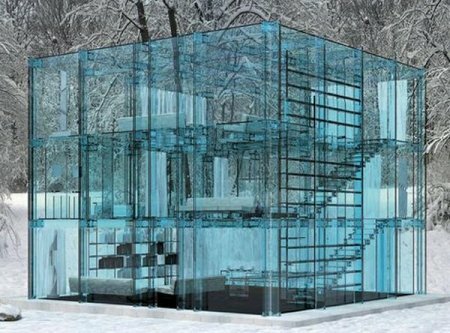 There are times I'd like to run away from this glass house... move into my field surrounded by woods... and not be seen for years. But God has not called me to live secluded. God didn't even call me to be quiet. And I have realized, He doesn't even expect everyone to like me. (Although I argue with Him on this one.) But what God has called me to do is live truthfully... authentically... and exemplary before others. I am NEVER going to agree with legalized abortion. NEVER, EVER, EVER... But, I do understand that I will likely not change the mindset of all. However, I will continue to support the Gospel, and I will continue to show grace. I was reminded that while God did have laws, He showed grace and mercy on numerous situations throughout the history of the Bible. And while I do feel there are always better options than abortion, I do care deeply for the women who have found this as their only option. So, in my house of glass, I will show grace, mercy, and love for them. Those souls rest safely in Heaven with Jesus. They are not suffering any longer. They are truly wanted. We will never know the greatness each child could have brought to us, so we truly are at loss, not them. The women who truly wanted these babies, but for some reason chose to terminate, whether medical or other, will grieve for them. And knowing what it is to lose a child, I know the heartache each will face for the rest of her life. I pray for them daily. The women who were abused and found themselves in an unwanted pregnancy situation, I pray for them. For even if they do terminate, they, too, are scarred from not only the experience of the tragic event, but also the guilt that somehow they are responsible. The women who do this simply for convenience need prayer too. They are giving up more of themselves than they can imagine each time. And whether they admit it or not, this scar will go with them forever. This country has placed such a low value on human life; every decade man is becoming more expendable. And being created in the image of God, mankind deserves better than this. Are we really so callused? We need prayer as a nation. I pray for this nation. Those in the medical profession who support the legality of abortion use all the medical jargon and legal reasons why women should have the right to do what they will with their bodies. Yet, I worry about what happens to them once the "problem" is gone? I wonder how many follow up with their mental health in the years to come? I also pray for the medical profession. Our doctors and nurses are often placed in impossible situations, and I pray for God to shield them. I pray for God to strengthen their abilities to provide healing... healing for all patients. Of course, I wish there were no aborted children. But I also pray for healing to the women who grieve. I pray for healing in their lives and bodies. We live in a sin-cursed world, so there will continue to be actions that are contrary to creation and reproduction as designed by God. I wish this life would be perfect... But I know better. I do not agree with abortion. I do pray for women who find themselves in impossible situations, and I extend mercy, grace, and love to each of them who seek it. And I will reach out to those who do not think they need it. I will proclaim that mankind could live better if he/she would embrace God's plan for this world. I mourn for the state that our country and the world have fallen. I look upward for the Redemption of this world to return and make all things right again. I am daily reminded that I am not perfect, but I strive to live according to God's plan for my life according to His Law knowing Jesus has provided grace and a covering for me in my sinfulness if I only trust and believe in Him, repenting of my sins. Does sin anger me? Yes! But God softens me to remember to love His creation as much as He does. So my anger quickly dissipates to prayer and love.